Singapore's largest beach countdown party is happening on 31st December 2018, from 6.00pm to 6.00am, on Siloso Beach! Look forward to 12 hours of non-stop music and fun with friends; and of course, welcome the New Year with fireworks and rave tunes at the stroke of midnight! What more could you ask for to ring in 2019? Just music, the beach, an epic party and your perfect #OOTB (Outfit of The Beach). 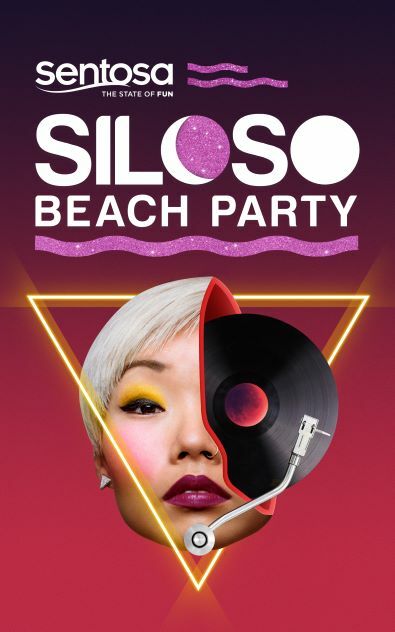 For more details, please visit http://www.sentosa.com.sg/silosobeachparty. Tickets start from SGD 48 and are available for purchase via PouchNation Online from 8 October. What's more, enjoy 15% off if you're a MasterCard holder or Sentosa Islander member*!